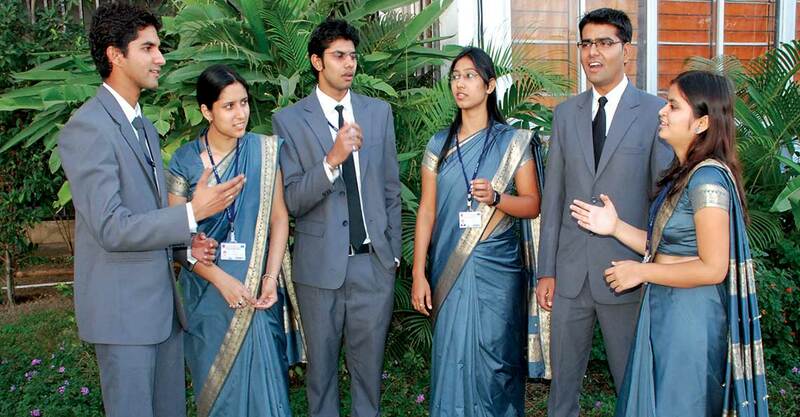 It is an AICTE approved Two Year Full-Time program in Management with focus on Telecom Management. The program offers specializations in Telecom, Systems*, Business Analytics, Operations & Supply Chain Management. The program is designed with a holistic approach to business management including general management, marketing, finance subjects. We have successfully completed one collaborative training programme in Telecom Systems and Applications with the Centre for Excellence in Telecom Technology & Management, MTNL, Mumbai (A Government of India Enterprise). Placements for these students usually happen for the roles in - Consulting, Business Processes / Operations Consulting, Revenue management, Pre-Sales / Post Sales, Deployment Management, Vendor Management, Business Analysis, Research Analysis, Business Development – mainly B2B, Revenue/ Fraud Management, Project Management, Domain Specialist, MIS, Data Analytics, Supply Chain / Logistics, Quality and Security Management etc. in all the verticals including Telecom. The Telecom vertical covers range of organisations like IT & ITES (Infosys, TCS, HCL Technologies, Wipro, Tecnotree, Elitecore, Alepo, Capgemini, Sonata Softwares etc.) Service Providers (Jio, Airtel, Vodafone, Idea etc), Research & Consulting (Frost & Sullivan, Evalueserve, Netscribes, Netcore etc. ), Active & Passive Infrastructure (Indus Towers, American Tower, Aksh Optifibre etc), Operations (Schindler India, Jio, Tata Teleservices) and hence there is something of interest for every budding techno-manager in the Telecom domain with a background of E&TC, IT, CS, Electricals, Electronics, Mechanical etc. Only Engineers with specialization in Electronics, E&TC/ Telecommunications/ Computer Science/ Information Technology/ Instrumentation/ Electrical / Mechanical are eligible for admission to this course. *Engineers with a good academic record and exceptional communication skills, will be offered the opportunity to specialize in the Systems Specialization with subjects such as SAP, Cloud Computing and Analytics, which are in high demand in the IT industry and add give a kick start to one’s career. Academic Inputs in Various Specialisations: a general course outline. Telecom Billing, Revenue Assurance & Fraud Mgmt. Besides the Two Months mandatory Internship with leading organizations various other trainings are planned for the Telecom Student Managers along with workshops on most contemporary topics. To name a few: Training on Telecom Systems, Networks and Applications ; Practical exposure to Wireline and Wireless Networks Management; Exposure to OSS/BSS for hands-on training on Operation Support and Billing; Training covering all aspects of Shared Telecom Infrastructure conducted at a functional BTS site; VAS; 4G Technologies etc.